Tesla Model 3 awarded five-star safety rating. 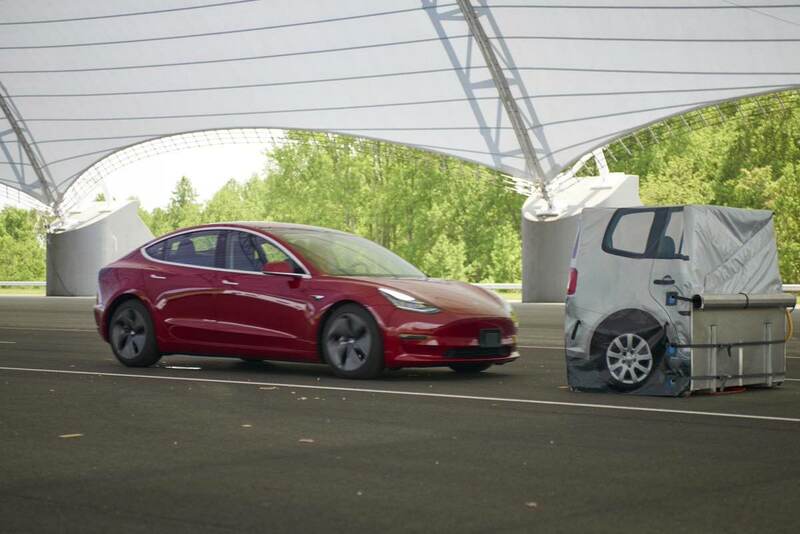 The National Highway Traffic Safety Administration (NHTSA) has put the rear-wheel-drive version of the Tesla Model 3 through the agency’s typical battery of crash tests, and the all-electric sedan came out the other side with a five-star rating across the board. That top rating falls in line with the NHTSA test results of Tesla’s previous cars, which all earned top marks. The Model X SUV received five stars in all categories and subcategories in 2017, and the Model S nabbed a seemingly impossible rating of 5.4 stars back in 2013 — that is, until the safety agency decided to revise its guidelines so that automakers couldn’t boast better-than-possible safety ratings. The crash test’s subcategories include frontal, side, and rollover crash ratings. It doesn’t include any evaluation of Autopilot, Tesla’s driver assistance package. As of now, the safety agency has not set up any kind of rating system for these features. The closest thing it has to an evaluation program for something like Autopilot is targeted at companies working on more advanced semi-autonomous technology. It’s also voluntary, and so far, just Ford, GM, Waymo, and startup Nuro have submitted safety reports. The Model 3’s safety rating was published just a few months after the NHTSA evaluated its most direct competitor: the Chevy Bolt. While the Bolt was given a five-star overall rating, it only picked up the full five stars in a little more than half the subcategories.